In the weeks that followed the implosion of the Baathist regime in April 2003, the absence of organized violence created a period of relative calm. In many Kurdish and Shia regions of Iraq and even in some of the Sunni Arab areas, Coalition troops were indeed greeted as liberators as some American officials had predicted. As US units fanned out in Baghdad and other cities in the west, south, and northern regions of Iraq, they also found themselves in the middle of a political vacuum left by the collapse of the Baathist regime. The swiftness of the Coalition’s advance and the apparent evaporation of Saddam’s authority concurrently stunned the Iraqis. In retrospect, American Soldiers as well as many Iraqis have come to view this period of calm as a “window of opportunity” when Coalition forces had a chance to create a secure environment that might have forestalled the growth of any organized opposition. Those with this view suggest that this window of opportunity shut some time in mid-2003, largely because the Coalition was unprepared to conduct immediate, large-scale, postconflict operations that might have prevented the conditions in which inchoate anger could grow to form an insurgency. Lieutenant General (Retired) Jay Garner, the head of the Office of Reconstruction and Humanitarian Assistance (ORHA), thought similarly. After meeting with a number of Iraqi civilian leaders in early April 2003 in southern Iraq, he began pressuring CENTCOM to allow ORHA into Baghdad to begin operations before this window closed. On 17 April 2003 Garner told General Tommy Franks, the CENTCOM commander, that inside Iraq there were “too many vacuums that are filling up right now with things that you and I don’t want them to fill up with.”10 Franks then allowed Garner to travel to Baghdad and northern Iraq to begin assessing the situation on the ground. However, weeks passed before ORHA established itself and began operations in these critical parts of Iraq. The looting witnessed by Allyn and his Soldiers would take a huge toll on the Iraqi economy. 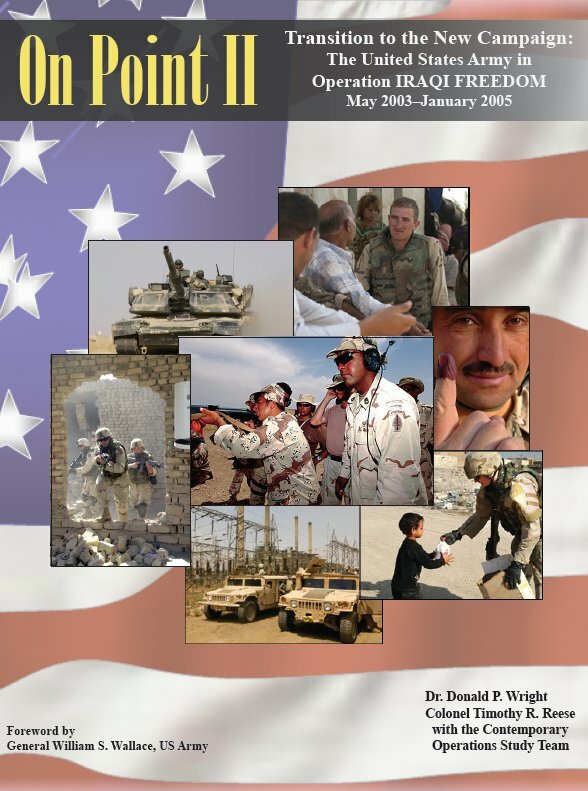 One Coalition Provisional Authority (CPA) study estimated the looting in this early period caused $12 billion in losses.15 This damage included the significant destruction of several of Saddam’s palaces and government buildings, many of Baghdad’s sewage treatment centers, and numerous military and police facilities, as well as important cultural landmarks such as the Iraqi National Museum.